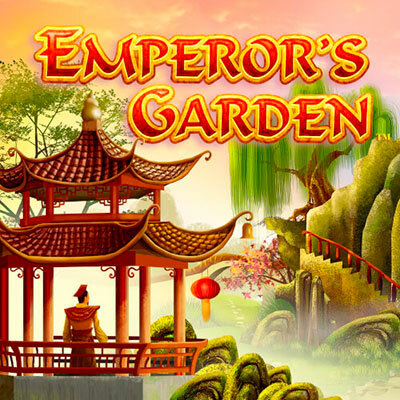 Emperor’s Garden takes players to the home of an emperor in ancient China who loves tending to his garden, but doesn’t always know how to. That’s why he needs your help. This is a5 reel, 25 line slot game by NextGen. This slot is like any other oriental themed slot in terms of design- the layout is fresh, bright and beautiful and if you are all about the aesthetics then you will love this. Help the emperor find his pergolas, dragon statues, lotus flowers and ornamental letters and numbers. Bonus features include wilds, scatters, free spins, etc. NextGen is known for creating innovative and entertaining games delivered in many internet casinos, brick and mortar gambling operations, mobile platforms and other outlets. They have also developed a free access social slot network on Facebook to make it easier for more of their customers to reach them. Such a move proves that the company is dedicated to creating adaptable and versatile gaming solutions. This Facebook platform was launched in 2012 and has grown more and more popular over the years. This is partly due to the fact that NextGen slots includemultiple features, high quality 3D design, rich sound effects, bonus elements and more. These factors make their games stand out. The slotfeatures a serene backdrop of bamboo trees in the background, calm waters with pink lilies and dragons bordering the top of the reels. Two gorgeous trees sit on either side of the reels. Peaceful Chinese-style tunes accompany gameplay. All the symbols have been designed to match the game’s aesthetic including the classic set of card symbols A, K, Q, J, 10 and 9. If you find 3-5 matching symbols, the Emperor will pay you 5xto 250x your stake. Collect pergolas and lotus flowers and the payout will be 500x for finding 5. The Emperor has dragon statues which will be harder to find, but have a higher payout of 1,000x your stake. There are 5 hidden symbols of the Emperor and these pay up to 5,000x your stake. Wild symbol- The garden is the wild symbol. It appears on the middle reels, but can stretch to cover anentire reel. Scatter symbol- The Koi Carp is the scatter. If you land 3 scatters, you will activate10 free spins where all wins have a triple multiplier. Gamble feature- The Gamble feature gives players a chance to wager their winnings for a chance to win more. You will need to click on the gamble option to start up the feature. Choose between the colour of the next card drawn or the next suit for a chance to double or quadruple your winnings. A wrong guess ends the game and all your winnings will be lost. Don’t try your chances with the gamble feature because it can be very tricky. The slot is highly underwhelming when it comes to the creativity aspect. The spins are also difficult to activate so the wins might not be as frequent as you’d like or expect.